Why go? 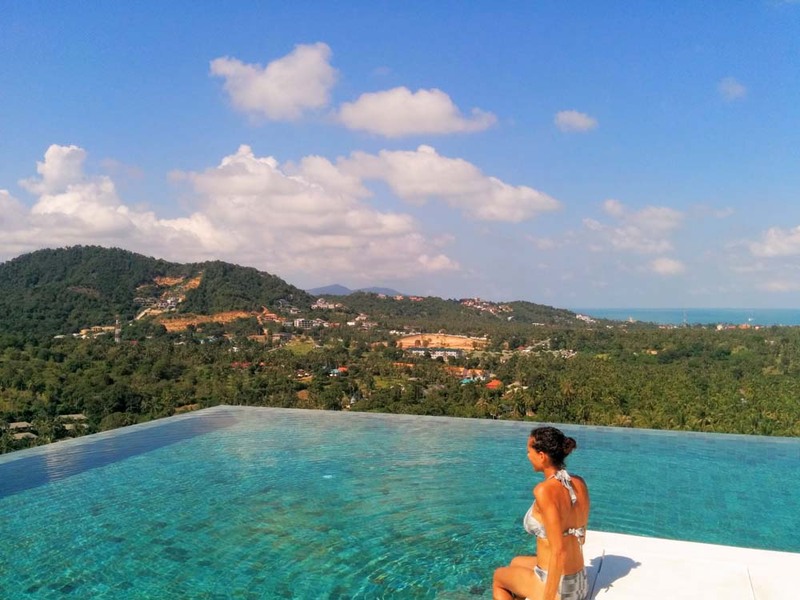 Koh Samui isn’t just for backpackers. 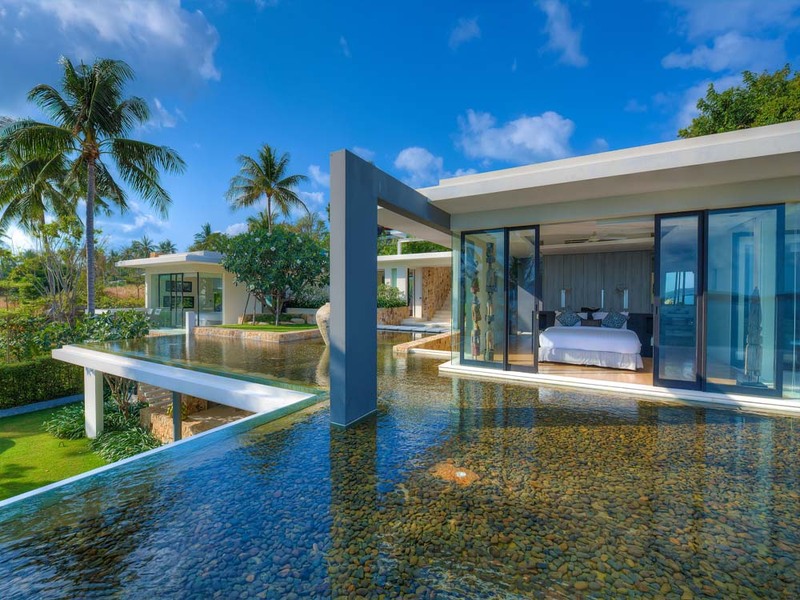 In recent years a host of sleek, upmarket and tastefully designed resorts have sprung up on Thailand’s third largest island, just a 45-minute flight south of Bangkok. The people here are exceptionally friendly to outsiders, the beaches among the best in Asia, while the traditional Thai curries and fresh seafood dishes on offer are incredible. When? There are three distinct seasons on Koh Samui: dry (December to February), hot (March to August) and rainy (September to November). The peak time for tourists is December to August, making it perfect for us sunseeking Brits. Even in the rainy season you’re more likely to get a heavy but brief downpour that clears as quickly as it starts, rather than rain all day. Traditionally Koh Samui has been just as popular for its nightlife with Full Moon and Half Moon parties drawing big name DJs and international revellers, so you’re guaranteed to find lots going on whenever you visit. Stay at: The best of these new escapes are set in secluded little enclaves off the tourist trail, such as Samujana, a villa estate that sits on a hilltop with striking views over the white sandy coast. Five minutes from the airport with direct access to a near-private beach, it combines the luxury of a five-star hotel with the relaxed Thai hospitality that makes this country so special. The island’s main attractions and beaches of Chaweng and Choeng Mon are close by and you can choose from 27 villas, each with their own infinity pool and from three to eight sea-facing bedrooms. Set into the hillside, each one incorporates dramatic rocks and trees which the architect has built around so the villas blend into their surroundings. Checking into Samujana is like being in your favourite boutique hotel for a week with your best mates. You’re free to choose what times you take your meals and you have all the privacy of an estate where you’re left to your own devices but with the convenience of staff to oversee things. Our villa (number 29) comes with its own concierge/host named DJ, who appears in a freshly starched white linen shirt every morning to serve us a sumptuous breakfast then seafood BBQ dinners, and he’s always at the end of a phone if we need him to act as local guide, give advice on what to visit, organise trips and generally make sure we have a great time. You really must… Soak up the panoramic views over the coast as you sip fresh coconut juice by the villa’s expansive infinity pool. Samujana offers a host of experiences designed to help guests switch off from the hectic world outside. You can throw off those niggling work stresses with a customised session with the serene Rui Zou, a yoga teacher and Reiki expert who with her partner Jason Milne, a meditation and tantra yoga specialist, conduct utterly blissful mind-calming classes (£46 for an hour). If it’s a more radical de-stressing you’re after, try a group session with Samujana’s Muay Thai kick boxing champion and personal trainer AJ (£40 for an hour). A rather impressive ex-SAS member, originally from Oxford, he will get your blood pumping before breakfast. Follow it up with a Deep Thai massage in your room (£20 for an hour), or book a traditional cookery class (£64 for two) where you can learn how to make an authentic Thai curry with the in-house chef. Once acclimatised, charter Kindred Spirit, the private 43ft Samujana catamaran. Prices start from £462 for a sunset cruise for up to ten passengers, and you can take it out for up to six hours to visit one of the neighbouring islands or just cruise up the coast taking in the sights. On our one-hour trip we sail across the glistening ocean to a deserted beach on the island of Koh Phangan while the friendly crew play chillout vibes on the sound system and we sip fresh juices and champagne. They are even good enough to stop halfway so we can dive into the ocean for a refreshing swim and a spot of fishing before lunch. Villa staff can also organise a host of tours around the island to the main tourist sights including the Big Buddha shrine (the island’s most well-known landmark, a 12 metre high golden Buddha), the prehistoric Hin Ta and Hin Yai Rocks – or the Grandpa and Grandma rocks (geological formations which resemble huge male and female genitalia and are said to promote fertility), and the impressive two Na Muang waterfalls. Finally, don’t miss a visit to see the famous Wat Khunaram or Mummified Monk which will blow your mind. This holy man died in 1973 after predicting his own death to the day and hour and his partly mummified body is in the seated position in which he died. It has hardly decomposed at all and is on show in a glass case for all visitors to see. Local people come to this holy site to be blessed and pray so remember to dress appropriately. A private tour with car and driver costs around £32 for half a day. Dine, drink and party at: Things really come alive in Koh Samui in the evening but the trick is to avoid the bland touristy bars and restaurants on the main strips and find authentic places where the locals eat and drink. Our favourites include Sa Bien Glae (sabienglae.com), in the coastal area of Lamai, for its sensational fresh seafood selection including deep-fried prawns and lobster and an array of exceptional curries which will set you back between £5 and £7 a dish. Barracuda (barracuda-restaurant.com) in Fisherman’s Village serves top quality international food particularly lamb and beef dishes with a Thai twist from around £10 a main course. For simple but great tasting traditional Thai cuisine in the perfect beach setting try the restaurant at the Sarikantang hotel (sarikantang.com) on the nearby island of Koh Phangan, where we may have tasted the best Pad Thai chicken ever for £6. Situated on the quieter side of the island it’s well worth the £5 trip by ferry (ferrysamui.com). Bring home: Koh Samui is known as the ‘Coconut Island’ with palm trees everywhere you look. Consequently, any coconut products from oils to creams and hair products are great value. You’ll also find a variety of handmade coconut-themed gifts at the night market. The traditional hand-decorated bowls made from half-coconut shells make beautiful presents and are on sale everywhere for about £3. 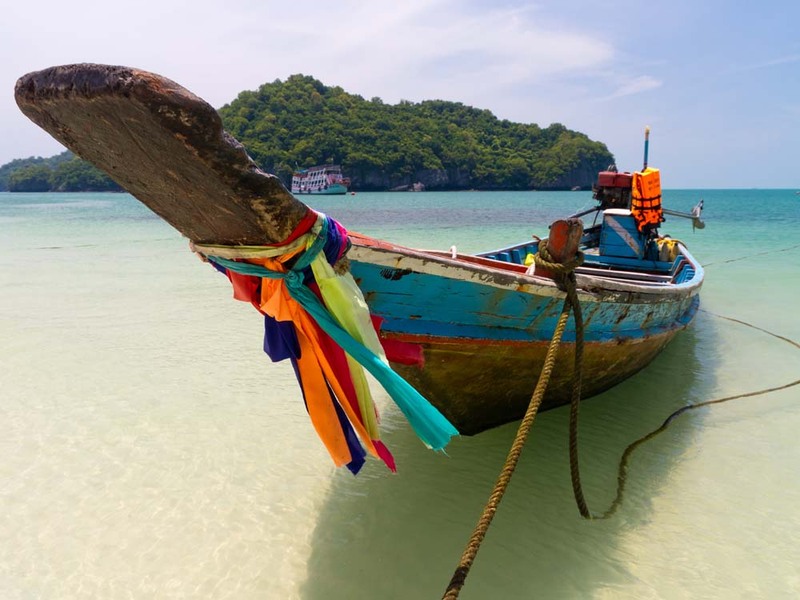 Book now: British Airways (ba.com) flies from London to Koh Samui via Bangkok from £571 return, using connecting flights with Bangkok Airways (bangkokair.com). 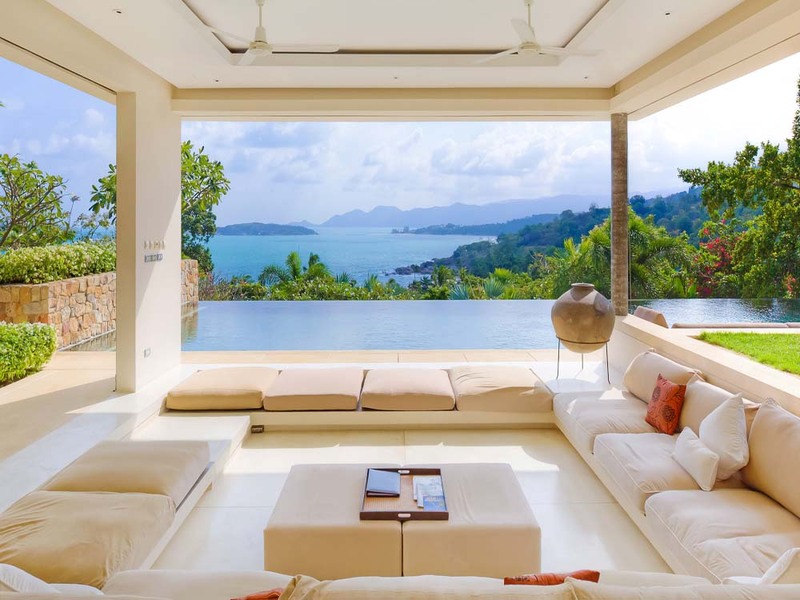 A five-night package staying in a three-bedroom villa at Samujana (samujana.com) costs from £3,600 until February 2016 (excluding festive period), including breakfast, housekeeping and airport transfers. Info: Thailand’s Beaches & Islands (£15.99; Rough Guides) covers Koh Samui, and see tourismthailand.org.